AIR NATIONAL GUARD CONTROL TOWER – Sidock Group Inc. The Alpena Combat Readiness Training Center operates the control tower for its airfield which is shared with the Alpena County Airport. 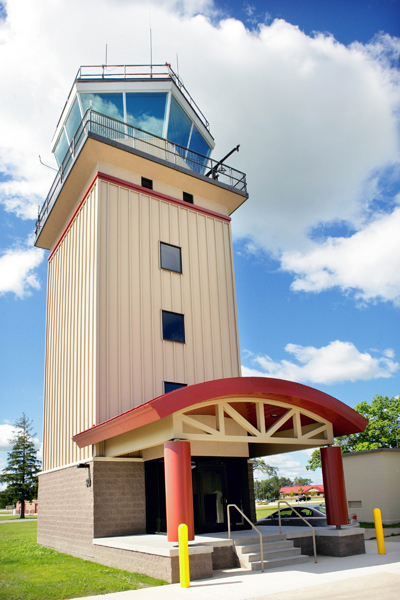 The project consisted of upgrading the tower’s exterior & interior along with its air traffic control technology. 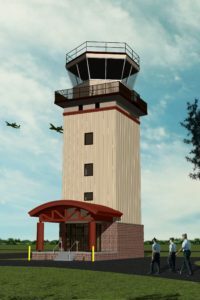 Finish material and color selections were consistent with those utilized throughout the air base. A new, covered entrance was added to secure the building and protect staff & visitors from the elements.